Avid readers of ShinyShiny will be aware that we usually find you our 10 favourites from ASOS’s ‘New In’, but, seeing as we’re bringing you Health and Fitness Week, this week, we’ve found you our 10 favourite items on ASOS to wear to the gym, running, dancing, or any other exercise you fancy doing. From trainers to jogging bottoms to hoodies, we’ve got you covered. Plus, we all know that getting a new workout wardrobe is always a great excuse to do more exercise! These jogging bottoms are such a lovely colour, and the shape is so flattering. They look incredibly warm, so would be great to wear with a hoodie when out running. Or you could even go wild and pair them with some stilettos, like the ASOS model. Heels on the treadmill, anyone? These Adidas Originals joggers are available from ASOS for £38. With Valentine’s Day round the corner, love is in the air, and if this tracksuit doesn’t show your romantic side off, what else will? We love how cute this matching combo is, as well as the fact that you could wear this to the gym, but also while lazily lounging around the house. The sweatshirt costs £20 from ASOS, while the joggers are available here for £26. Yes, this hoodie is pretty plain and simple, but it’s a really nice shape, and will look great for wearing with leggings. It will also keep you lovely and warm while you’re out running in the bitter weather. This Adidas Originals hoodie is available from ASOS for £45. New Balance trainers are obviously great as fashion trainers, but they’re also functional, and brilliant for running and training at the gym. Plus, they’re so comfy! We love the colour of these ones, as they’re so bright, and will make you feel happy just looking at them, while you’re slugging it out on the cross-trainer. 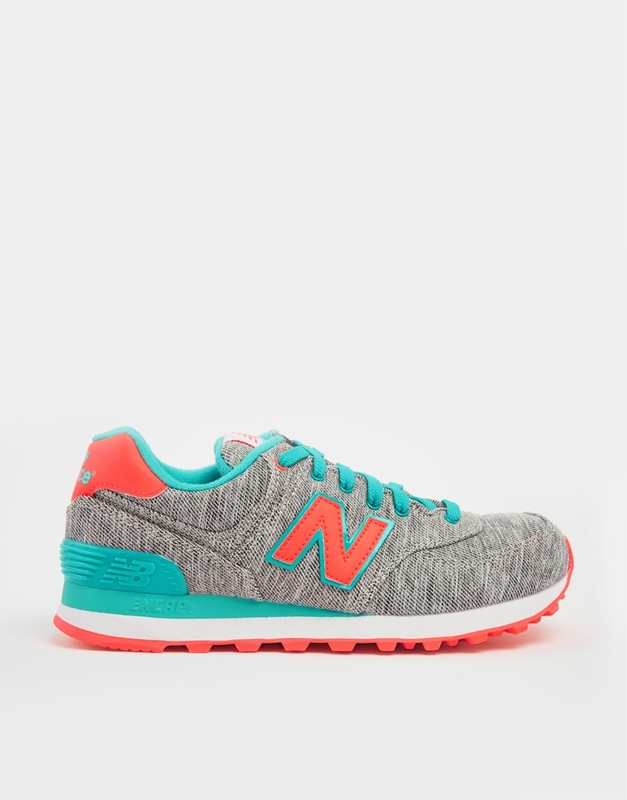 These New Balance trainers are available from ASOS for £70. Burgundy will always be our favourite colour for the winter, and these joggers are perfect because of it. Wear them lounging around the house or when working out in the park, as they’ll keep you lovely and warm. These joggers are available to buy on ASOS for £18. 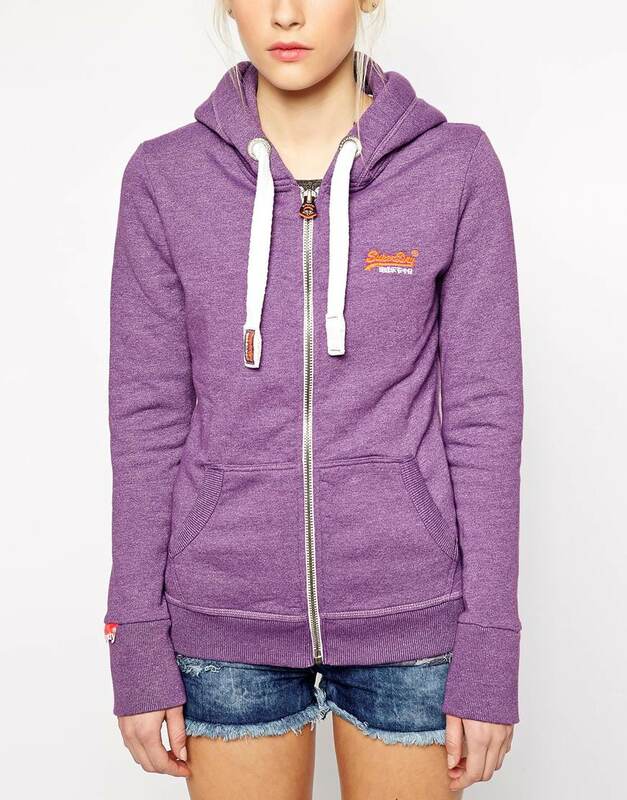 Keep yourself warm while out jogging with this lovely purple hoodie from Superdry. It’s pretty simple, but, when paired with some fun patterned leggings, it could make you the best dressed person at the gym. This Superdry hoodie is available from ASOS for £54.99. Leggings are always our favourite type of bottoms to wear to the gym, as they’re lightweight and flattering. These Adidas ones have the sports brand’s classic 3 stripe design, and are simple enough to wear with a baggy top and some bright trainers. 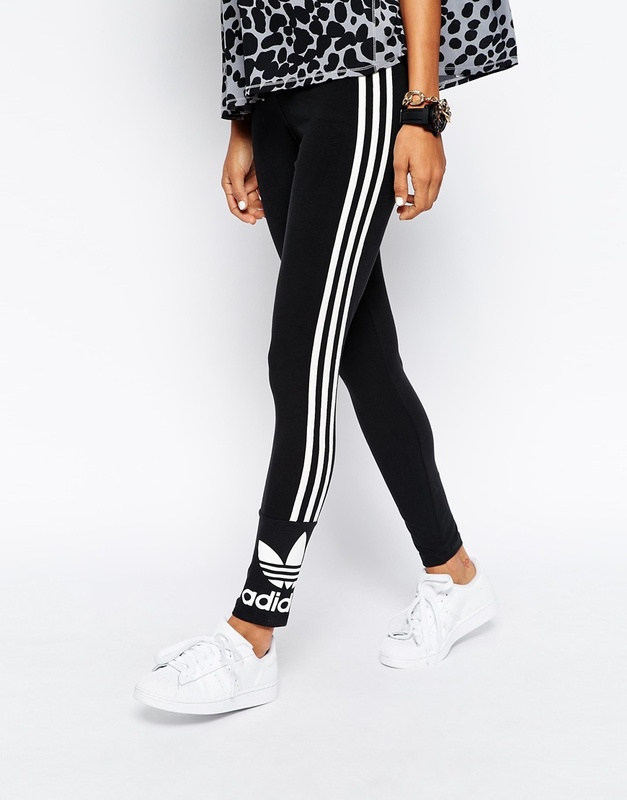 These Adidas Originals leggings are available from ASOS for £22. If you want a hoodie to keep you warm while out running, but are looking for something a bit more fun, this polka dot number from Nike will do just the job. The Nike hoodie is available from ASOS for £45. If you’re comfortable with your legs out while exercising, these shorts from Nike will keep you cool while working out. In grey and white, they’re simple and easy to wear with a baggy t-shirt or vest, and bright trainers. 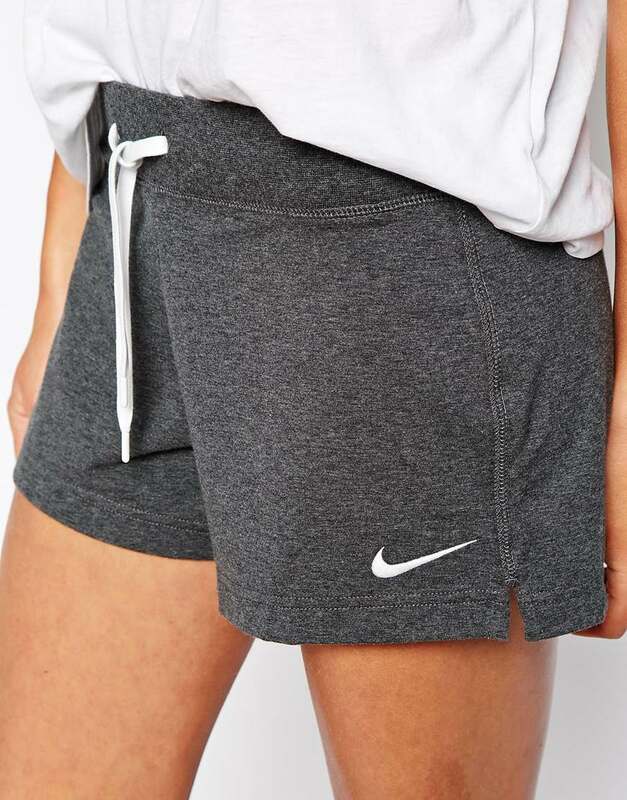 These Nike shorts are available from ASOS for £20. 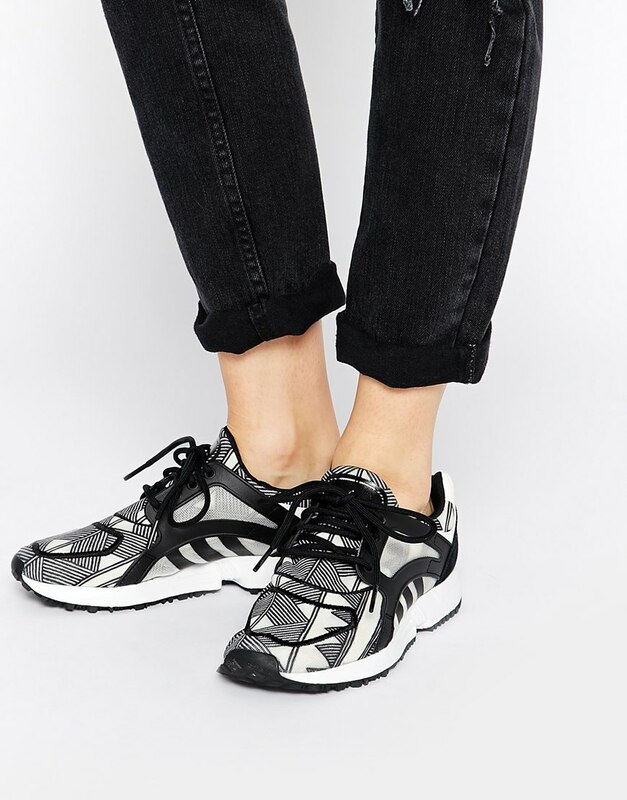 We absolutely love the monochrome design on these trainers. They’re great if you don’t want shoes brighter than the sun, but still want something a bit different. They have a textured grip tread too, meaning that they’ll be perfect for running or just exercise generally. You can buy these Adidas Originals trainers on ASOS for £70.